style="text-align:center;"> Please note that this topic has not had any new posts for the last 357 days. I have been reading and digging out numerous threads on RBS and how I can request for a overdraft charge sheet from years back. I was wondering what exactly should be the wording of the letter and what I should be looking out for in the details of the sheets they send me, this is regarding what I can and can't claim back. Many thanks for your response DX. Does this May 25th has anything to do with the General Data Protection Regulation coming into full force from the EU. but, what is this post 3 referred to in the SAR templates that is deemed imperative to be read before using any of the SAR guides? as for post 3 read it...? Right, I'd contact them first week of June, and then come back with all the info I can get from there to take things further. This is an amazing site and really love what you guys have done here, I wish I knew half of the things I've binge read here in the last 72 hours, would have saved me tonnes of trouble and other ugly financial/consumer dealings from the past. Cheers. that's what we are here for.. I'm very much interested in sending SAR out to all of them, just to see what I can find and or come up with. Is it ok to use the generic SAR template and throw in a request for any PPI's as well, are they compelled to especially release information about the PPI bit. The last account I closed was Closed Military Brothers, I voluntarily terminated the agreement after paying a little over half of it. I forked out nearly 400 GBP to serbice the car, MOT, as well as two brand new tyres out of courtesy, I still have the receipts for it all. I was made to pay for a Gap insurance addon I had on the agreement before it could terminate, I asked for receipt which they claimed was not possible as they don't issue receipt for the gap insurance payments so they fobbed me off on that one. 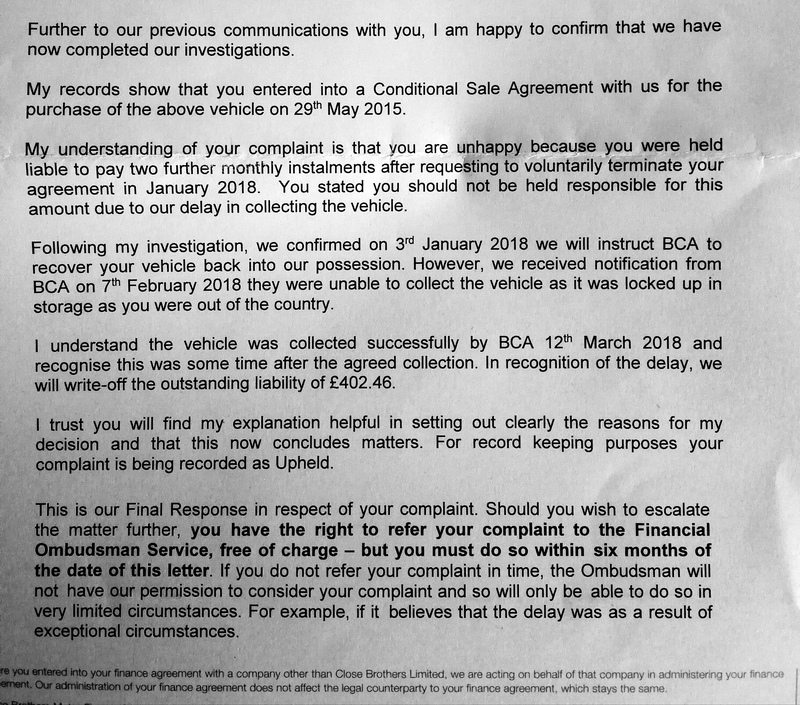 Two months down the line these people came back telling me I owed them 2 months worth of late payment/arrears because the car was in my possession. This situation came about as a result of them not being able to find a car auctioning company on time to come take the vehicle rght after the agreement ended. And twice they sent someone out to my address without informong me. They were very adamant that I owed them till I threatened to escalate the issue to the FOS/FTA as my wife was getting stressed out by their barrage of phone calls and letters to my address. They suddenly dropped the case and also deliberately refused to send me a copy of the agreement affer I had explicityly asked for it, thing is, I do not have the original agreement and feel there's something I might have missed and which they either dont want coming out or me discussing it. Anyleads on how to go about this one specifically or I should just go ahead and SAR them as well after 25th May and take it from there?